Milan (Milano) is the center of Italian fashion, business and finance. It is a bustling city with everything a tourist dreams of right at their door step. Take a walk through the Galleria Vittorio Emanuele II where you can peruse the world's most expensive and well-known brands including Prada, Versace and Gucci. Even if you're not looking to buy, it's a popular lane for a stroll at any time of day. The entire city is a hub of cosmopolitan style with its 'aperativo' bars where you only pay for drinks and eat from endless buffets of both traditional Italian and international dishes. Teatro alla Scala - One of the world's most famous opera houses that has a truly breathtaking interior. Pinacoteca di Brevi - Milano's fabulous art collection housed in the Palazzo di Brevi. Santa Maria delle Grazie - The home of Leonardo da Vinci's Last Supper. Staying in a monastery or convent guest house in Milan is a unique alternative to mainstream hotel accommodation. 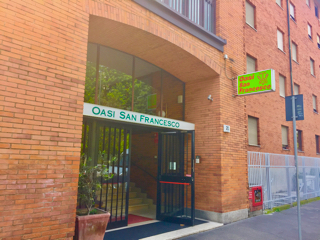 Open to all, these guest houses give you a true insight in to life in Milan - a chance to escape the hustle and bustle of Milan and experience a hospitality tradition that has been around for 1500+ years. Review the monastery and convent accommodation for Milan, choose your rooms and book today! Experience Milan B&B Accommodation, book quality monastery & convent B&B accommodation in Milan. Search & book rooms at genuine convents in Milan with photos, reviews maps & room prices.